All T20B models, both Bantam Cubs and Super Cubs, were fitted with electrics based on the BSA Bantam D10. The system is 6 volt, positive earth with a three-phase alternator and a rectifier supplying a battery mounted under the seat. A mixture of Lucas and Wipac components were used throughout both the T20B models. One set of points fitted. * Note: Some BSA Bantam D10 models had a blue, main beam, warning lamp fitted in the central hole on the top of the headlamp, between the ignition and lighting switches. However, the Triumph T20B Bantam Cubs and Super Cubs did not have that option fitted and instead had a black, rubber, blanking grommet in that hole. Most Bantam Cubs and Super Cubs had Lucas alternators fitted, but some did leave the factory with Wipac alternators. All the alternator stators have six coils wired in three pairs. 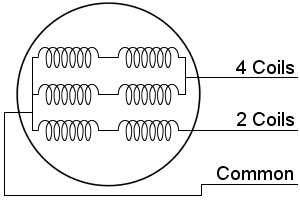 Two coils (one pair) are used for charging and normal running. The other four coils (two pairs) provide additional power when the lights are switched on. 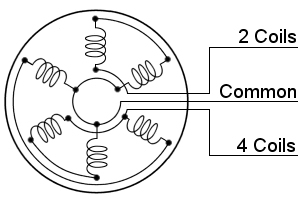 Both the above diagrams are electrically identical, the connections are just pictured differently. The Lucas and Wipac alternators are physically and electrically interchangeable. The only significant difference between them is the colour of the wires as shown below. A selection of original Lucas publications describing the operation and testing of the RM series alternators and their typical use in motorbikes. From British Only Motorcycles and Parts, Inc. The wiring loom for both T20B models is very similar to both the Bantam D10 loom and late, standard, T20 Tiger Cub looms with separate ignition and lighting switches. There are very minor differences in some of the wire lengths between the Bantam and Cub looms, but the only really significant difference seems to be the location of the horn. The BSA Bantams and the majority of T20 Tiger Cubs had the horn mounted under the seat near the battery, but the horn on the T20B Bantam Cubs and Super Cubs hangs down under the front of the petrol tank. It is attached to the frame by a small flat bracket and protrudes below the tank, close to the headstock. If you can't source the correct T20B loom then either a D10 or a late T20 loom can be used with just a minor modification to accomodate the horn. Simply run two wires from inside the headlight shell to the horn under the petrol tank and connect one to the switch and the other to a live (negative) connection on the main loom. Note that although the Bantam Cub is largely based on the Bantam D7 machine, the Bantam D7 wiring loom is not suitable because the D7 had a single, combined, ignition/lighting switch. If you're looking for a lead-acid replacement then the Yuasa 6N11A-1B or an equivalent should fit. Alternatively, many modern, gel batteries will fit. T20B Bantam Cubs and Super Cubs use standard 6 volt bulbs that are still readily available. See the 'Suppliers' page for sellers. 0.6W originally, but 1.2W recommended. Replaces obsolete LLB 352 (18/6W). The traditional ignition system fitted to the T20B is adequate, but requires regular attention to keep the points clean and the timing correct. Retaining the points does keep the bike original, but increases maintenance and can be unreliable. There are several options for upgrading to modern electronic ignition. Some systems use the electronics to dramatically reduce the electrical current through the original points. This extends their usable life significantly. Others replace the points completely with an electronic sensor and some even replace the coil as well. Advice and information is available on forums such as the Tiger Cub Forum. Suppliers of electronic ignition systems suitable for Tiger Cub engines include Boyer Bransden and Rooster Booster. The latter was originally developed for the BSA Bantam, but they now have universal versions that are sold for Tiger Cubs. There are other manufacturers too. Many owners still run Bantam Cubs and Super Cubs with original, 6 volt electrics. Upgrading to 12 volt is straightforward, especially if it is done as part of a major rebuild. However, it can be expensive and might not be cost-effective unless you are doing a high mileage or riding competitively. Advice and information about converting to 12 volt is available on forums such as the Tiger Cub Forum. The 'Electrical' section on the 'Suppliers' page lists sellers of both 6 volt and 12 volt components. All information on this website is provided in good faith. The accuracy of the information cannot be guaranteed. No responsibility can be accepted for any consequence arising from the use of this website. I recommend that all information is independently verified. The owner of this website has no connection with the Tiger Cub Forum other than as a general subscriber and contributor.